Aquest is an online training academy who provide specialised services in investment funds regulation and compliance. They offfer 3 main services to their clients. An online training academy of rulebooks. 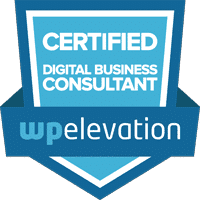 Live in person training for corporates and expert consultancy services. Aquest were in need of a website which would target those in the investment funds industry. To allow corporate clients to sign up as members of the online academy and have access through a subscription membership to content and to allow companies hire Aquest to do in person training or work on a consultancy basis. They also wanted to be able to add regualr news and updates to the website and include podcasts for their users. Once we knew what Aquest wanted we started to dig deeper into the project to figure out how to get there and provide a solution to their needs. Our discovery process let us find out about their ideal clients, how they would engage with them and look at the technology required to meet their requirements for membership subscriptions, the online academy and podcasts. A full online academy solution was developed which corporates can sign up to and assign memberships to their employees. Subscriptions and payments are all managed through this system. On the main website we built a CMS driven website which allows Aquest to add regular news updates and integrate their monthly podcast. Through their contact form interested clients can enquire about consultany or in person training while those interested in the online academy can sign up and access a free trial which then becomes a paid subscription. 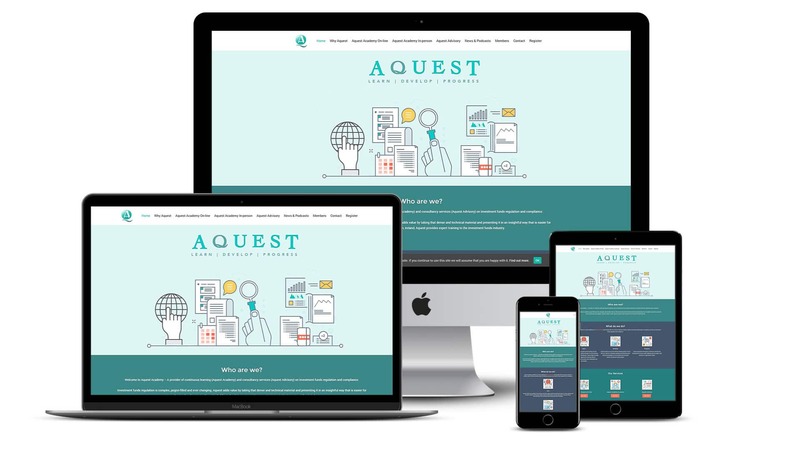 Since the launch of the website Aquest have been busy creating content for their podcasts and generating leads to sign up to their online academy. They also are working on hosting events for corporate clients on compliance and regualtion in the industry. The company continues to grow and convert leads into customers and establish themselves as the number one place for investment funds regualtion and compliance.